Sol Selectas presents “The Other Side” an original song by the band Morphine, transformed into a dance floor friendly trip, by our dear friend Unders. Morphine was an Alternative Rock group from Boston which formed in 1989. Morphine’s unique sound combined blues and jazz elements, with more traditional rock arrangements, the lead singer Sandman had a distinctively deep, and laid-back tone. After 5 successful albums in the early 90s, they disbanded after Sandman tragically died on stage of a heart attack. The founding members reformed into the band Vapors of Morphine, maintaining much of the original style and sound. 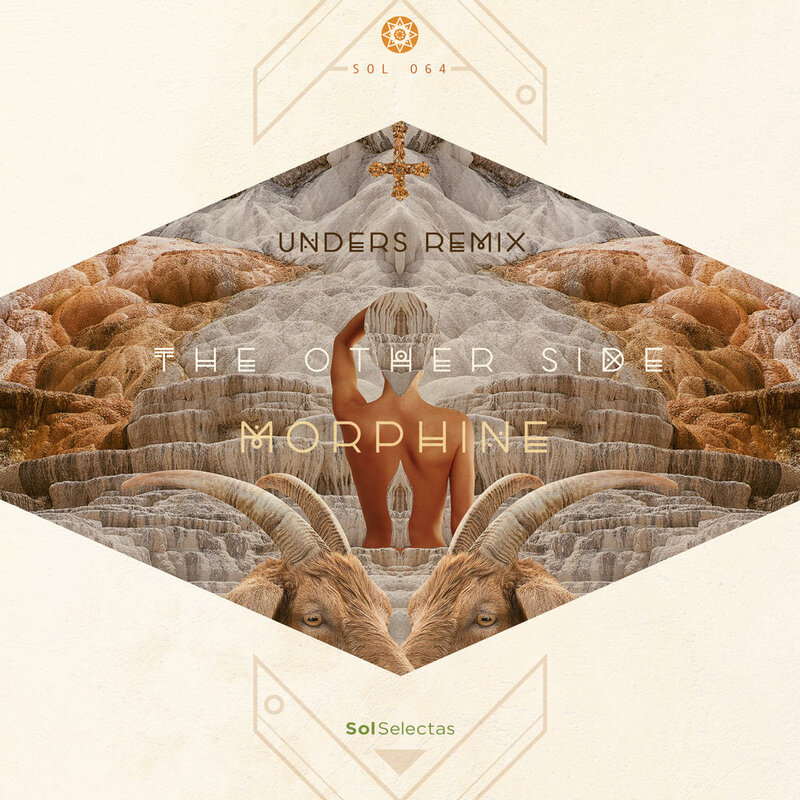 Unders, a producer form Holland, who had a break through song called “Syria” on Sol Selectas three years ago, is a huge fan of Morphine, and created this dance floor remix for his DJ sets. The reaction was incredible. With the intention of keeping the original Morphine legacy alive, along with the spirit of Sandman, the original members of the band have agreed to officially release this incredible remix. Already rated by Mixmag as one of the hottest tracks of the Summer in 2017, even though it had never even been released, this special remix of an American classic, will surely take its listeners on a journey to “The Other Side”, where “life is better”. The artwork by Helia Jamali take us on a melting psychedelic journey, reaching further into the depths of our the minds, to an unknown but familiar place “with the preachers wife”. Release date October 29, 2018.